AK Songstress To Unveil “History” Maiden Album On Her Birthday Her powerful voice, style and lyrical proficiency earned her an instantaneous musical success after she unveiled her first single dubbed “Di Emprez” in 2013. Following her consistency on churning out good music to the masses, music aficionado have highly anticipated her maiden album and here we go, the Paradise Entertainment songstress is set to break boundaries with her forthcoming album christened “History” The Acclaimed “King of Queens” of African reggae and dancehall music AK Songstress has finally announced the unveiling of her maiden “History” album via her social media Platforms. The 19 track video album perfectly touches the theme of the songs on the album as the “Overdose” singer and troubadour paired the singles with beautiful visuals filmed and directed by Xpress films, Esianyo Kumordzie, Rex, EGYA Bucknor and Steve Gyamfi. Ak Songstress will celebrate her birthday with the Launch of her album “History”, on the 25 of November, 2017 at Hortical Night Club in Accra. The graceful event will witness a night of partying and performances from all the top musicians in Ghana as she dedicates the album to her fans. The “History” album features africa’s greats such as Patoranking, Stonebwoy, VVIP, EL, Guru, 4×4, and other Jamaican legends including Sizzla Kalonji. 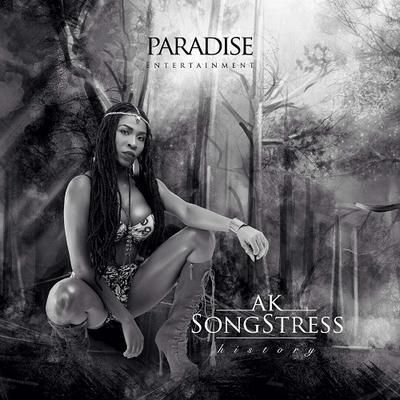 According to management of AK Songstress, Paradise Entertainment, the album will be available for sales at the launch and also on all digital platforms and online stores. Wondering why the album is dubbed “History” , and the world famous and superstar who will make an appearance at the album launch, Make it a point to be there to support the queen. Join in and write your own page! It's easy to do. How? Simply click here to return to New Reggae or Dancehall Albums.